Hi this Jjunaway management office. All Jjunaway family members! Sorry for letting you waiting for such a long time. 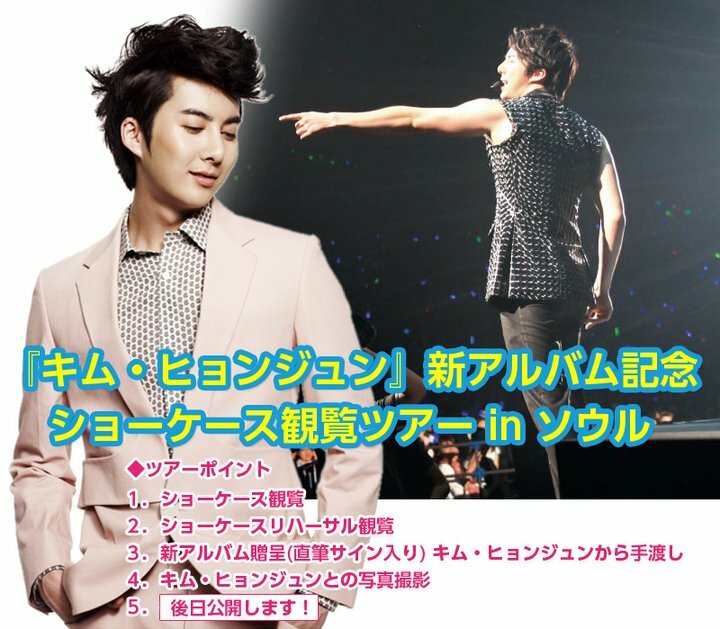 Kim HyungJun Korea album is in preparation for sale. Will like to give a notice to all Japan fans method to join the new album commemorative showcase tour group. In musical ‘Cafe In’, radio DJ hosting and a lot other activities, always giving his best, Kim HyungJun is going to release his new album soon! Jjunaway family, please give warm and strong support. Hope everybody will actively participate.